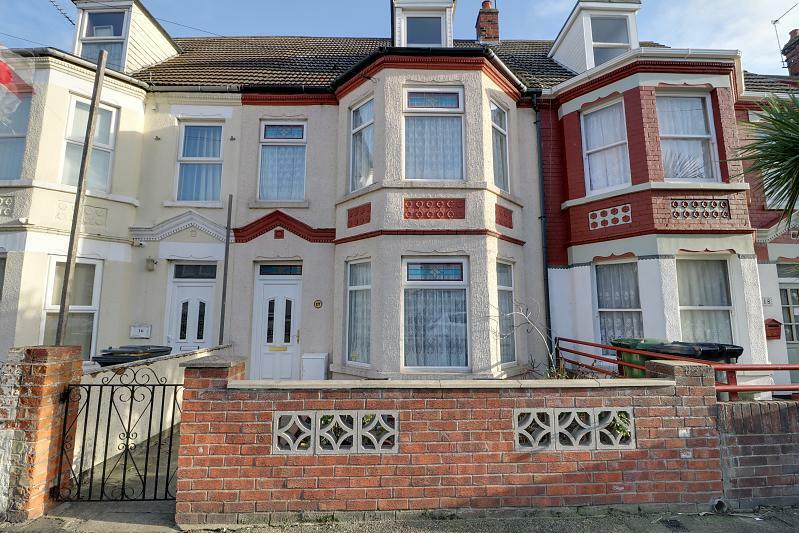 Located in the Southtown area of Great Yarmouth is this BAY FRONTED terrace house offering five bedrooms with a first floor bathroom. 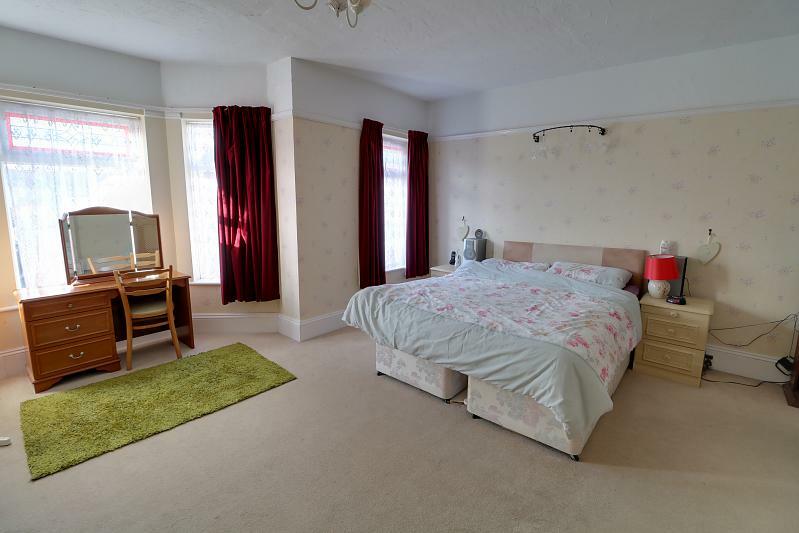 On the first floor are the THREE MAIN BEDROOMS and the third bedroom has an EN-SUITE. 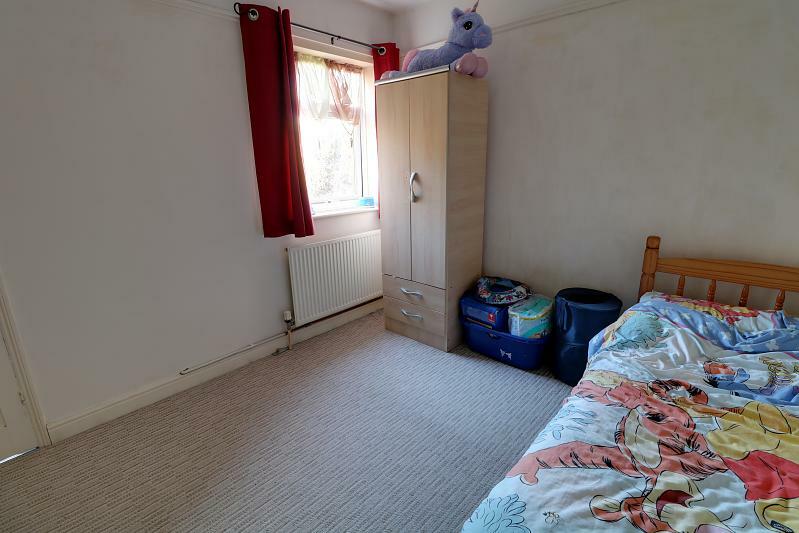 The top floor has TWO FURTHER DOUBLE bedrooms. 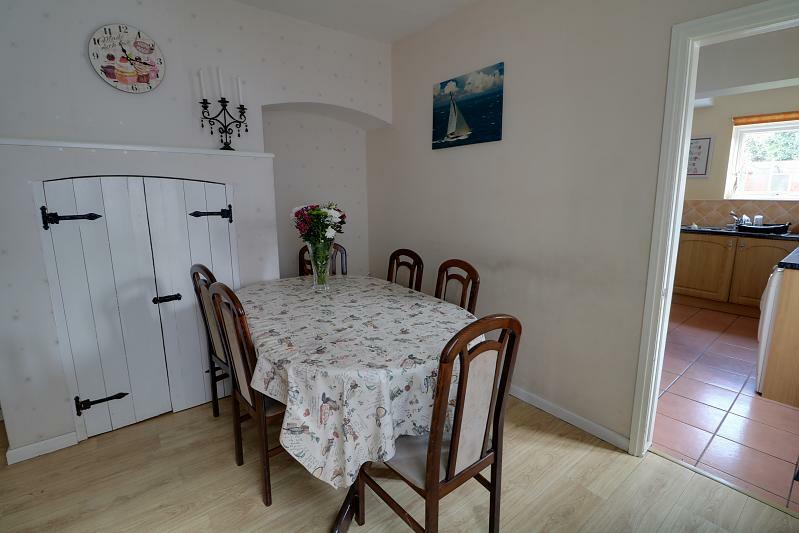 The ground floor offers a sitting room, dining room, dayroom area, kitchen and ground floor cloak. 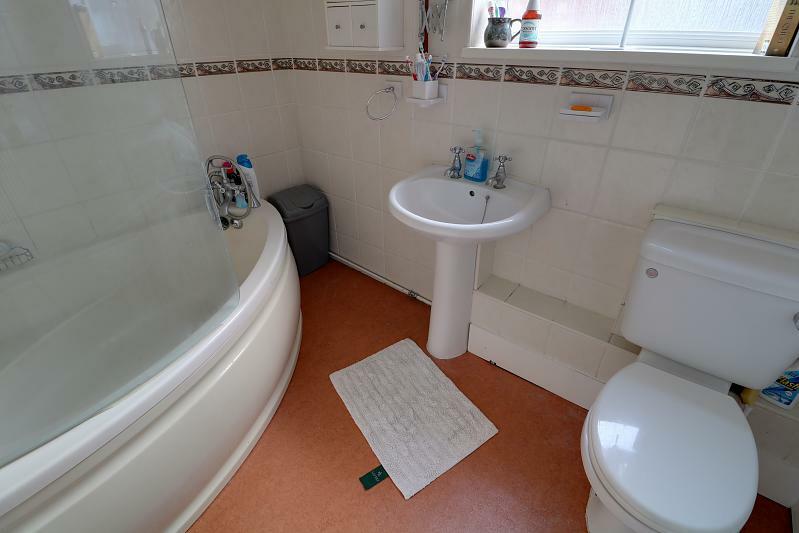 The property has PVCu sealed unit double glazing and has gas central heating. To the rear is a 45' East facing lawned and decked garden area. Feature open cast iron fireplace with ornate slate and granite surround - the fireplace is a working fireplace. 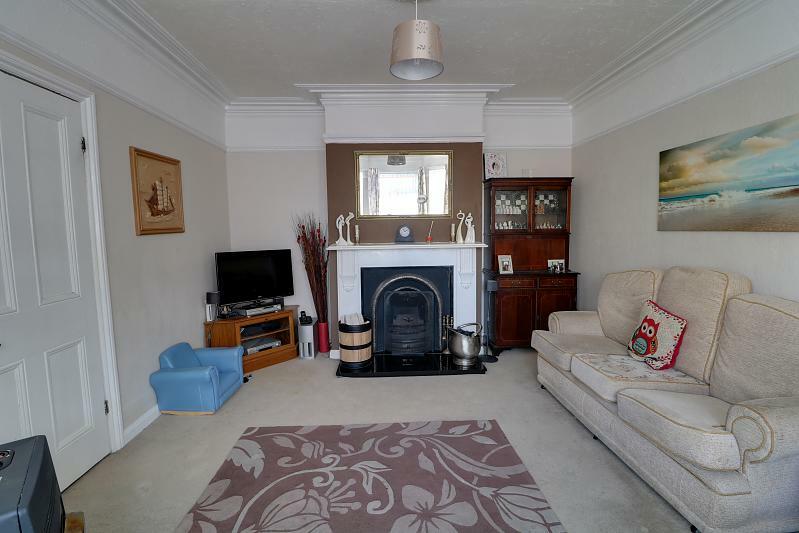 Fitted carpet, TV points, picture rail, original plaster coved cornicing, radiator and double glazed bay window. 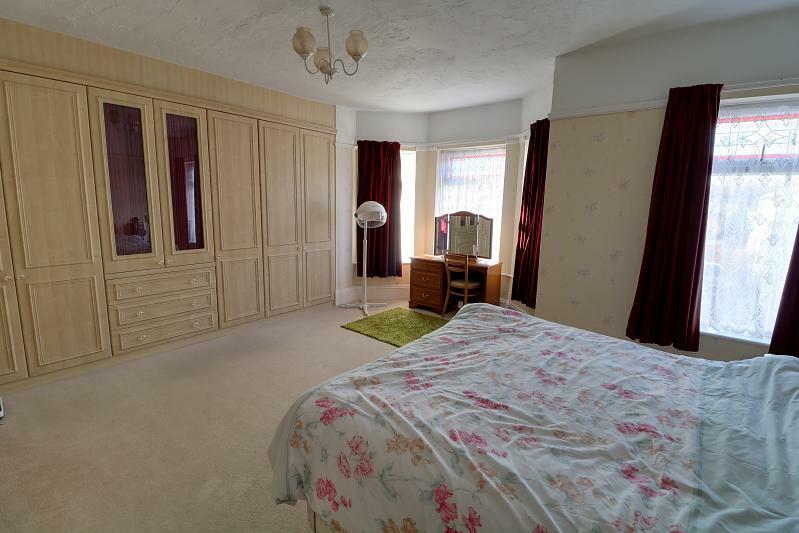 Recesses with pelmet lighting and further cupboards beneath, television point, fitted carpet, picture rail, original plaster coved cornicing and ceiling rose, radiator and a double glazed window. 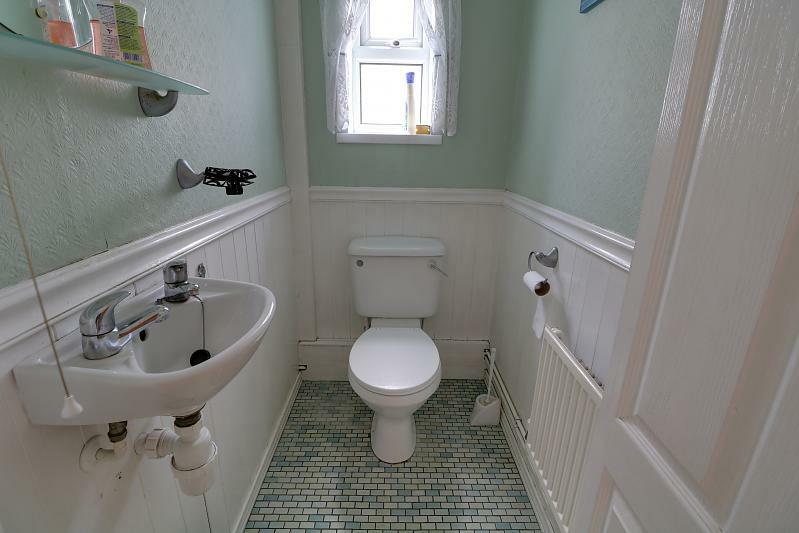 With low level WC, ceramic wash hand basin with mirror over, strip wood wall panelling up to dado rail, ceramic tiled flooring, radiator, coving and a double glazed opaque window to side. 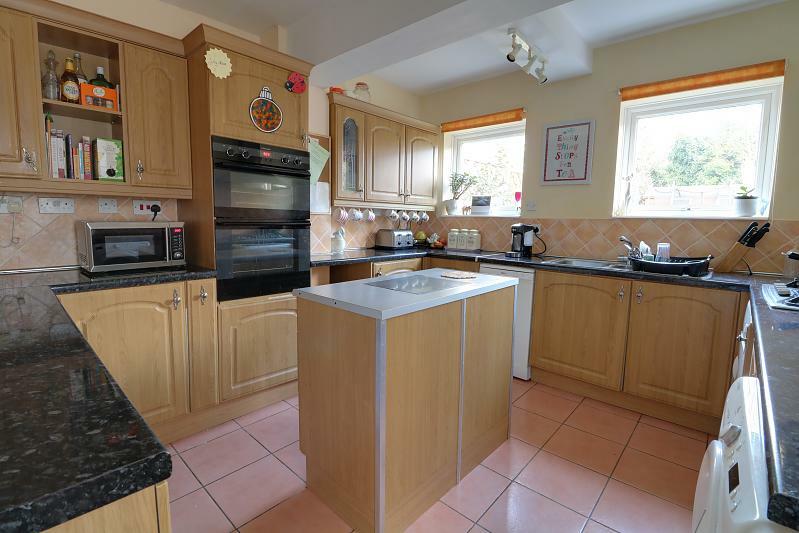 Range of wall and base storage units with further leaded light glass fronted display cabinets with integral lighting, wall tiling, 1½ stainless steel sink unit with mixer tap, inset five ring gas hob with a stainless steel extractor over and a built-in electric tower double oven unit, integrated fridge, plumbing for washing machine, recess for tumble dryer and plumbing for a slimline dishwasher, central work station with matching drawers beneath, wall mounted gas boiler, tiled flooring, two double glazed windows, double glazed door giving access to rear. 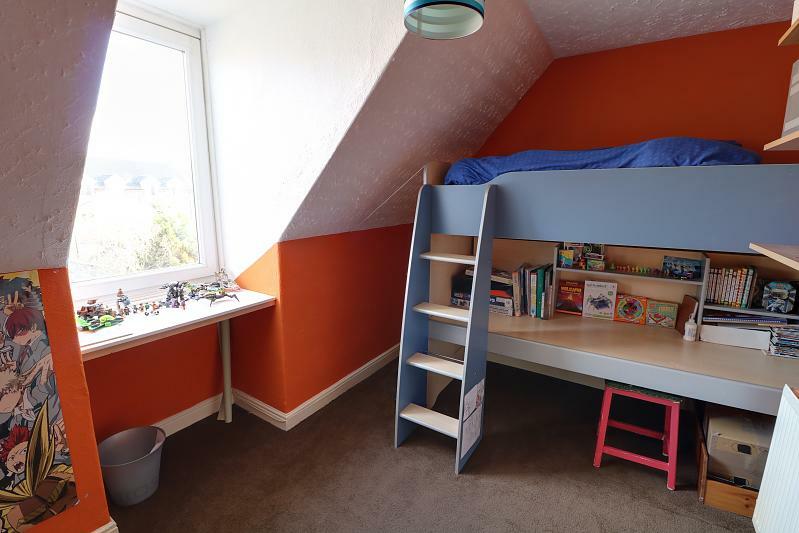 Carpeting, dado rail, picture rail, off the back section is a built-in shelved linen cupboard and an access point to a roof void area with pull down ladder, lighting. 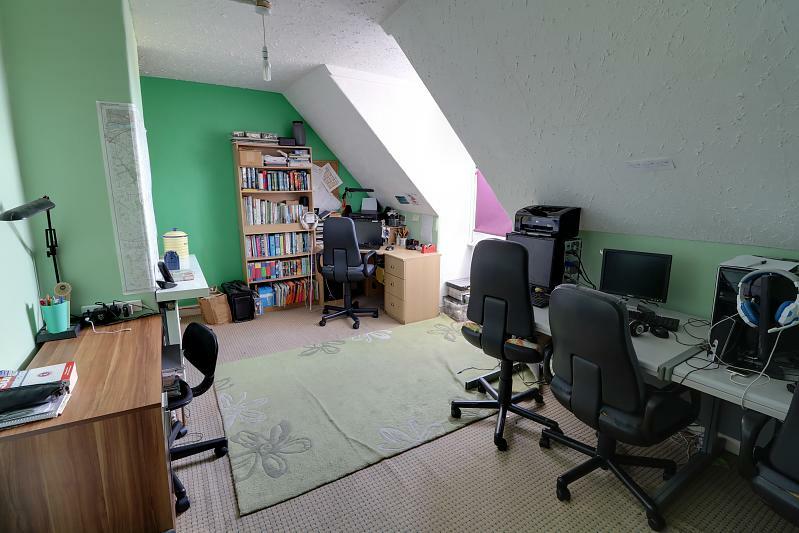 To the front of the first floor landing is a further staircase leading to the second floor. 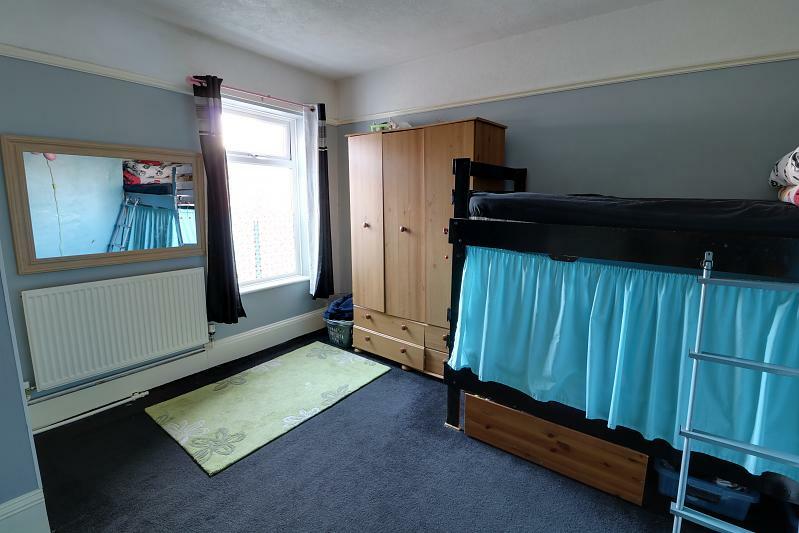 Fitted full length range of wardrobes with further glass fronted units with drawers beneath which leads round into the left recess where there is matching fitted shelving, fitted carpet, picture rail, radiator with lattice fronted cover, two PVCu sealed unit double glazed windows incorporating a bay window with aspect to front. 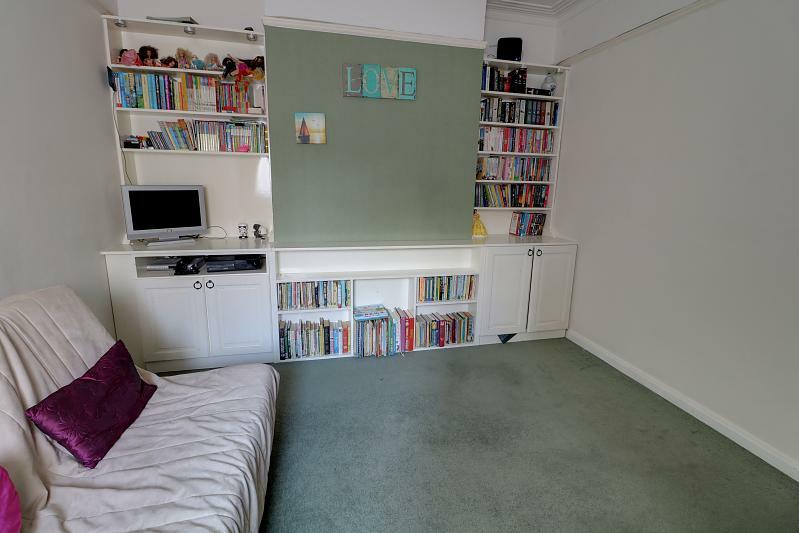 Shelved recess, to the corner is a built-in shelved airing cupboard with the immersion, fitted carpet, radiator, picture rail and a PVCu sealed unit double glazed window with aspect to rear. Offset corner panelled bath with the telephone style mixer and shower attachment with an arched shower screen, pedestal wash hand basin, low level WC, fully tiled walls with further fitted wall mirror, stripped wood ceiling with inset lighting, radiator, vinyl flooring and PVCu sealed unit double glazed opaque window to side. 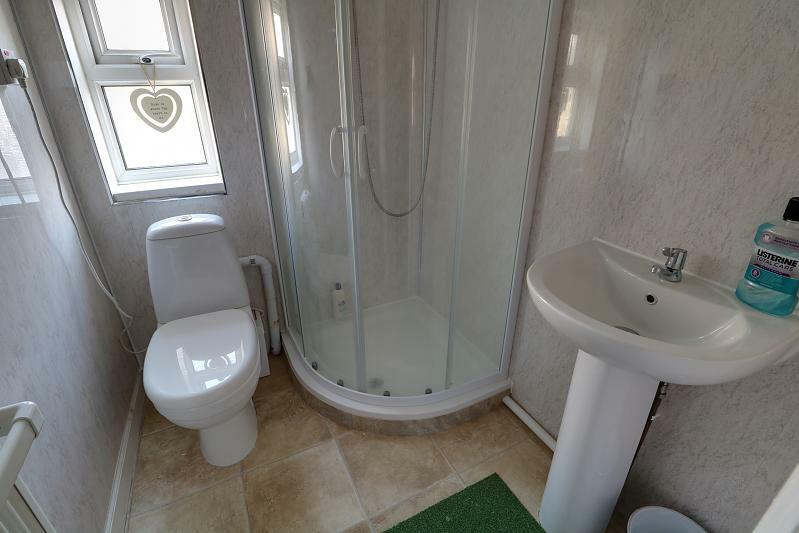 Vinyl floor, frosted double glazed window, low level WC, hand wash basin, shower cubicle. With further recess where there is a PVCu sealed unit double glazed dormer window with aspect to front, radiator and fitted carpet. To the front boundary is a brick wall with a chipped slate garden area to front with shrubs. 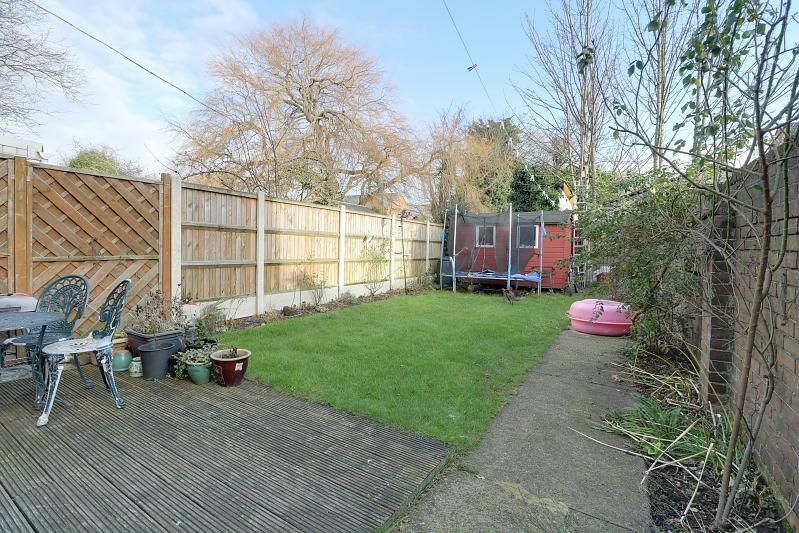 To the rear is a paved patio side path which leads on to an East facing garden with a decked area leading on to a grassed garden area with timber shed to rear and extends to approximately 45&apos; with a back access gate to a communal walkway.